Samsung Galaxy phones running Qualcomm's Snapdragon 845 chip have outperformed gadgets from Apple in mobile internet speed tests. The study is based on more than a million user-initiated speed tests undertaken by users on Ookla's speed test website in the second quarter of this year. According to Qualcomm, devices using its chip performed up to 192 per cent faster than non-Android gadgets based around Intel processors. 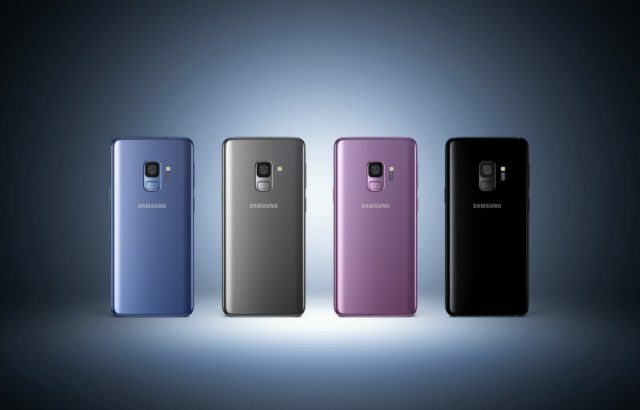 The data, which was reviewed by Bloomberg, revealed that users of Samsung Galaxy S9 devices in the US enjoyed an average download speed – across all operators – of 38.9 megabits per second (Mbps), based on around 102,000 tests conducted over a three-month period. Users of the larger Galaxy S9+ recorded an average speed of 38.4 Mbps, according to a sample size of about 169,000 phone connections. By comparison, the figure for Apple's flagship iPhone X was 29.7 Mbps, while the iPhone 8 and 8 Plus came in at 28.6 Mbps and 29.4 Mbps respectively. Qualcomm stated these figures demonstrate the importance of a fast processor, particularly its inbuilt modem chip, when it comes to mobile download speeds. While all Samsung Galaxy S9's use Qualcomm's chips, iPhones use a mix of Qualcomm and Intel technology. Faster mobile internet means users can load websites quicker, reduce buffering and initial loading when watching movies more quickly, make crisper video calls and display higher-quality video, Bloomberg noted. While the quality of the 4G data signal from the operator may be what many people regard as the key factor in determining this, the hardware and software within the phone also has a major role to play, and this is something that more makers are looking to highlight. Bloomberg noted that as more phones increasingly resemble one another on the surface, manufacturers are placing a greater focus on what lies underneath the cover. Samsung has been especially keen to tout its faster mobile internet speeds with the launch of a new advertising campaign in the US highlighting its advantage over iPhone models in this category. The company added that with up to 27 LTE bands, which is more than any other smartphone, the latest generation of iPhones provide the best global coverage for 4G LTE data.